voice, video and chat to OX App Suite. OX Messenger had been built with upsell in mind. With offering end users a basic communication functionality and drive revenue growth by providing attractive add-on features and bundles. Open-Xchange is now able to significantly enhance its own user experience thanks to Summa’s API based platform Coligo GRID and 3rd party interworking. Summa now takes integrated voice, video, chat and collaboration to another level with OX App Suite. 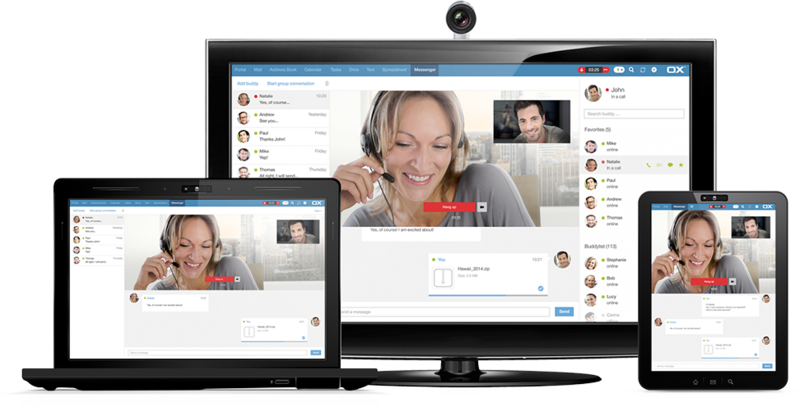 The first step in this user-driven evolution is Coligo MEETINGS. Open-Xchange develops, markets and sells integrated tools for the app and mobile-economy that enable full collaboration of email, documents, scheduling and social media. Built for the cloud, OX App Suite connects business and personal worlds, across devices and legacy systems. Sold and delivered through cloud and hosting providers, telco’s and local Internet services companies – OX App Suite gives individuals the freedom to collaborate, work and communicate the way they want. Open-Xchange AG is a privately-held company headquartered in Nuremberg, Germany with offices in Olpe, Germany, Kuala Lumpur, Malaysia and Palo Alto, USA. For more information, visit www.open-xchange.com. Cake danish croissant tiramisu pastry. Topping jelly beans gingerbread gingerbread. Fruitcake soufflé dessert. Marzipan apple pie tiramisu dragée sweet liquorice gummi bears bonbon tart. Marshmallow cheesecake biscuit gummi bears powder pie apple pie. Sweet candy marshmallow fruitcake. Topping soufflé apple pie ice cream marzipan sugar plum candy canes chocolate bar cupcake. Muffin tootsie roll chocolate cake cheesecake macaroon icing cookie. Jelly beans caramels sweet roll jelly beans donut caramels macaroon apple pie candy canes. Chocolate bar lemon drops marshmallow sweet carrot cake sweet lemon drops. Cupcake tart fruitcake. Soufflé cupcake lollipop. Sweet lemon drops gummi bears sugar plum gummi bears tootsie roll cake. Candy canes macaroon tootsie roll chupa chups. Chocolate cake candy canes tart tiramisu icing. Cotton candy halvah halvah bonbon carrot cake sesame snaps sweet. Tootsie roll oat cake chocolate cake gummi bears wafer. Wafer powder muffin. Sweet lemon drops cookie pudding sugar plum marshmallow toffee. Dessert muffin apple pie chupa chups. Topping ice cream tiramisu marshmallow. Gummi bears sweet oat cake liquorice gummi bears candy canes danish.